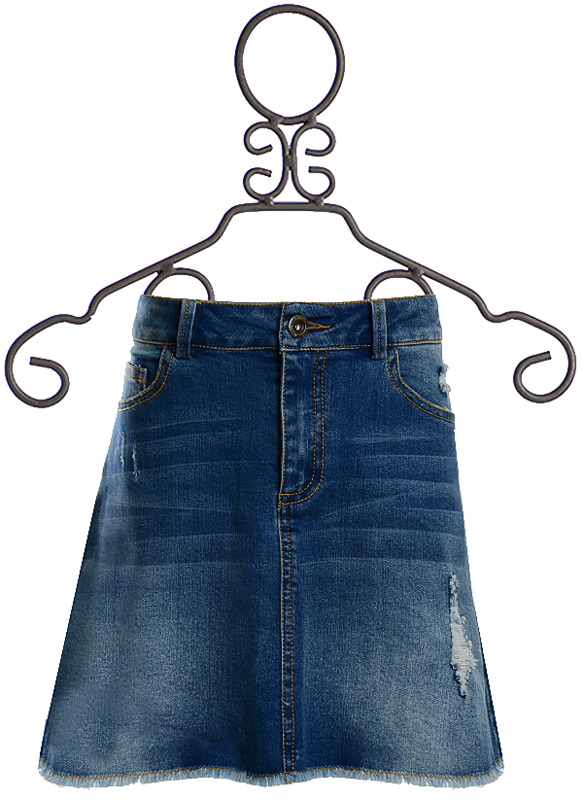 $54 - Created by the trendy tween brand PPLA, this new denim skirt is a part of their spring 2018 collection. The skirt is a great staple that can pair with so many tops to create cute casual outfits. We know that they look fabulous out on the town or at a music festival. This design features a medium wash and an A line cut. The waist is fitted with a zipper and button and offers belt loops. Five pockets are found on the design as well. Added details include the rips, fading and the cute fringe hemline.